That's what happened when I got married to my Bengali hubby. We both were foodies and were raised eating traditional food. We had a strong preference or aversion towards certain ingredients. He didn't fancy grated coconut based curries and I couldn't stand the smell or taste of mustard. 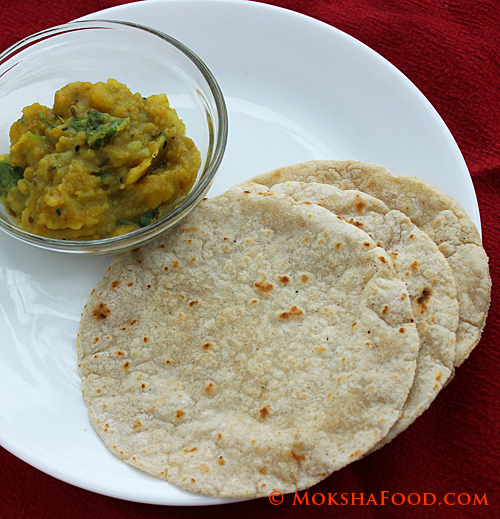 We had to rely on some common favorites - Punjabi and South Indian food to get past our initial hurdles. We craved for our own comfort foods. Life became even more challenging when we moved to another country. We struggled to adapt to a new culture, new cuisine and new people. Somewhere going along, we learned to accept and enjoy the variations of cuisines and cultures. Now 12 years down the line we have learned to appreciate and tolerate the numerous differences within us. We also found strange similarities and common interest. Konkani and Bengali languages may seem distinct but we found many similar words with just slightly altered pronunciations. This could be cause they both originated from the same mother language Sanskrit. Interestingly I was also enlightened by my Hubby's Uncle that there's a Konkani community residing for many generations in Bengal. A quick search on google confirmed the fact that one Konkani group had migrated eastwards to Bengal and assimilated in their culture. With regards to food, both cultures love their staple fish curry and rice diet. The Bengali's favor river fish while Konkani's relish seafood. 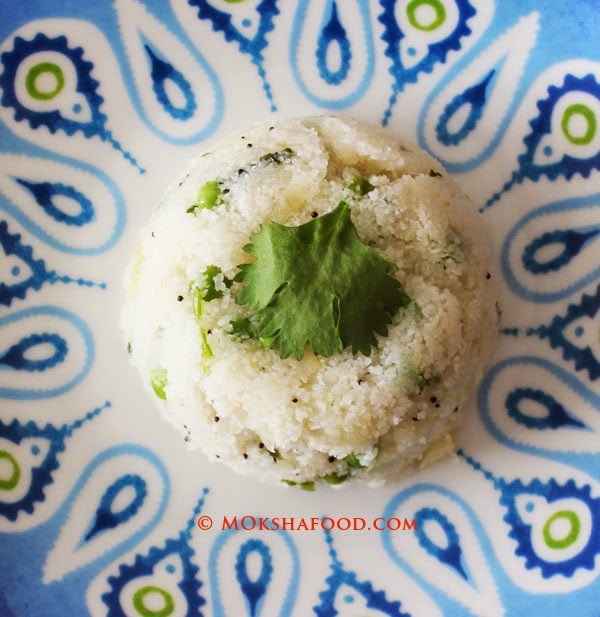 Pice/payesh, the humble rice pudding is a common favorite on both sides. My hubby and me also share a common love of exploring new places, new cuisines and cultures. 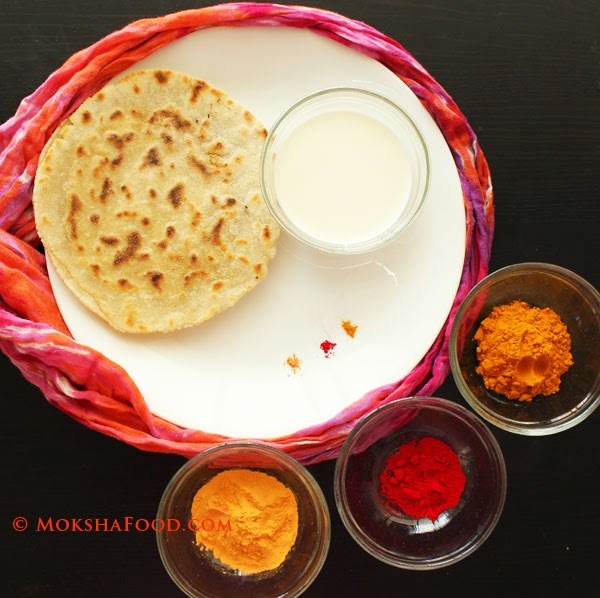 Our travels across the globe have enlightened us with the immense variations in food, culture, habitat and lifestyle. We now celebrate our differences and are always on the look out for something new/unusual/different. And of course the biggest source of our happiness, the apple of our eyes - our daughter! 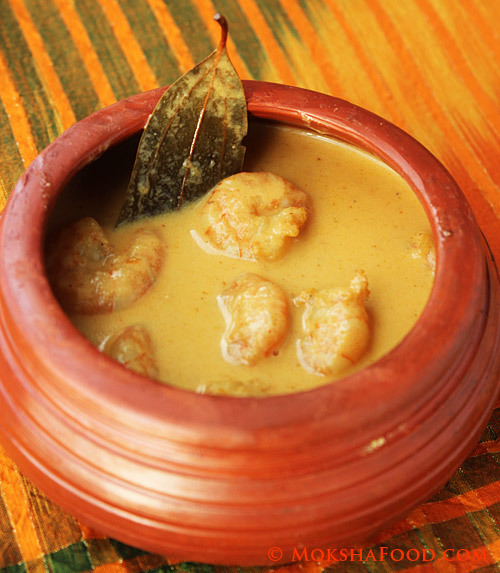 So when I came across this traditional Bengali dish, Chingri Malai Curry which is Shrimps cooked in spiced coconut milk , it was like the perfect fusion of two food cultures. 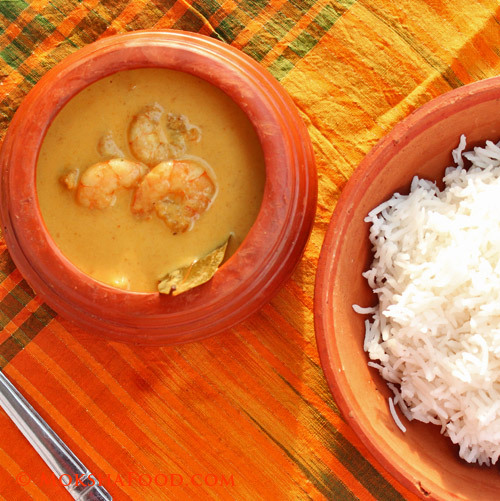 We both enjoyed this decadent creamy shrimp curry with steamed basmati rice and other sides. 1. Choose the largest shrimps you can get your hands on. 2. Traditionally the shrimp is cooked with its entire shell on. I am allergic to the shell so I had to removed it. Its well known that the shrimp shell is packed with flavor so I leave it up to you to decide. 3. Usually the onions and garlic are grated finely almost into a pulp. To save me time I chopped it regular size, sauteed and blended it to a paste. I feel it taste better. Also sauteing raw onion pulp takes more time, more oil and can taste bitter at times. 4. Tomato is not used in traditional recipes but a small amount adds a nice color and mild tang to the gravy. 5. Sugar is added to give a mild sweetness to the curry. 6. The final addition of nutmeg, mace and ghee are optional but it does make the curry so much more flavorful so try not to skip it. The setting sun add a golden touch! De-shell and wash the shrimps nicely. Heat a tablespoon of oil in a saucepan. Add the garlic and tomatoes and continue to saute till slightly browned. Remove, cool and grind to a smooth paste. In the same saucepan add another tablespoon of oil and heat it. Add the marinated shrimps and saute till they turn opaque. Remove and keep aside. Add another tablespoon of oil to the saucepan. Temper with bay leaf, cardamoms, cloves and cinnamon. Saute till spices release their aroma. Add the ground paste along with rest of turmeric powder and red chili powder. Pour in the coconut milk and simmer the sauce for a minute. Add the shrimps back in and some more salt and cover and cook for about 10 minutes. Add in the sugar and taste to balance the flavors. Lastly add the nutmeg powder, mace powder and drizzle 1 teaspoon of ghee on top. Switch off the heat and let it rest for the flavors to develop. 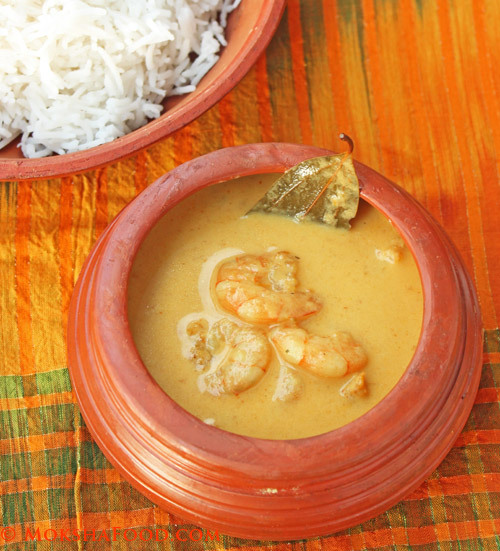 Serve Chingri Malai or Shrimps in spiced coconut milk with steamed basmati rice for a delicious and decadent meal.